The house was a colour with a neon yellow door when I bought it with the ugliest interiors I can’t even think about it, it grosses me out! But the bones and the layout were so cute that I saw what it could become, all it needed was a little love. I did a bright white house with a black dutch-door and inside I have original French oak floors, tongue and groove walls, lots of white linens and rattans, it’s a bit cottage, a bit beachy, and a bit French antique. I used a lot of neutrals with pops of the blue and white Chinoiserie which I love so much. I love art and antiques so I really used those as pop accents. I also love to garden, so my back yard as the plants grow is turning into a beautiful hang out zone. Our Luxe Hand Towel - Shop online here. 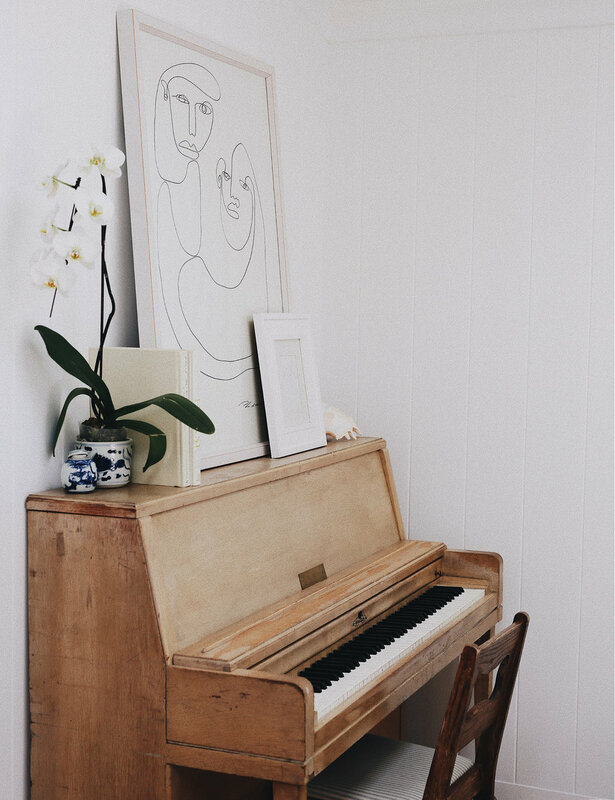 Where did you draw inspiration from when renovating and styling your home? I read a lot of Cottage Living, Coastal Living, and I do a lot of Pinterest-ing. I learnt a lot from my mom growing up as she was always doing something to our family home. 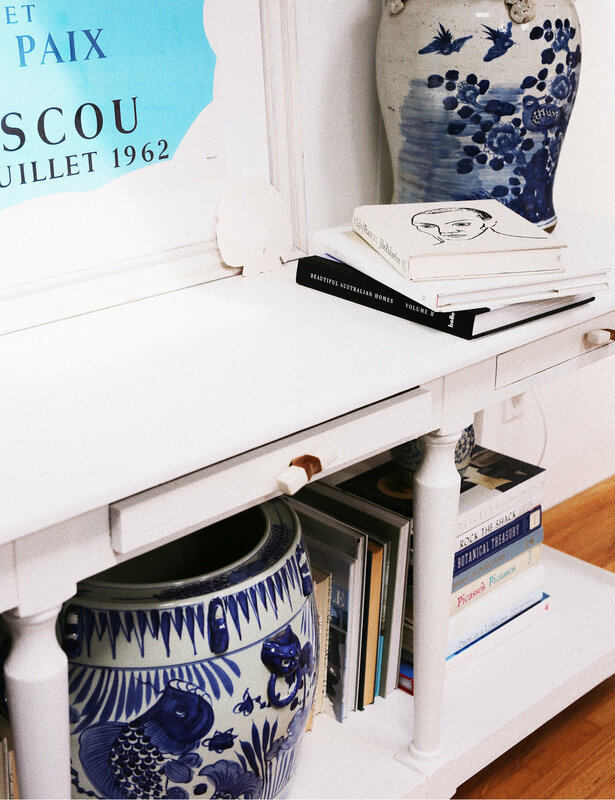 I love traditional styles with modern coastal accents and French antiques. It all just sort of blended together. 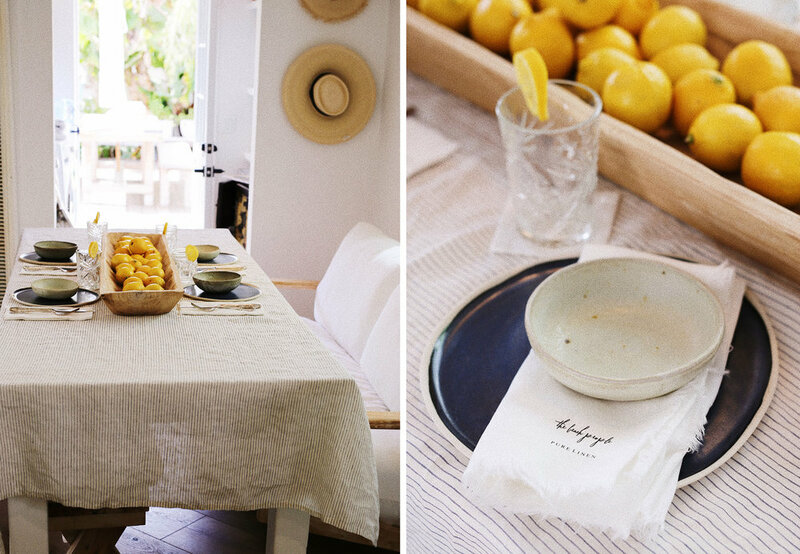 Our Linen Tablecloth and Linen Napkins (sold out in AU) - Shop online here. Do you have a favourite room in your home and why? I love my bedroom just because it’s my sanctuary. It’s the perfect napping room with my really big comfy bed, the light in the afternoon is so beautiful, and my French doors open to my little side garden. We installed antique bi-fold doors for my closet and the doors open to a collection of my favourite things. It’s where the day starts and ends with my husband, and every time I crawl into bed I’m just so happy. 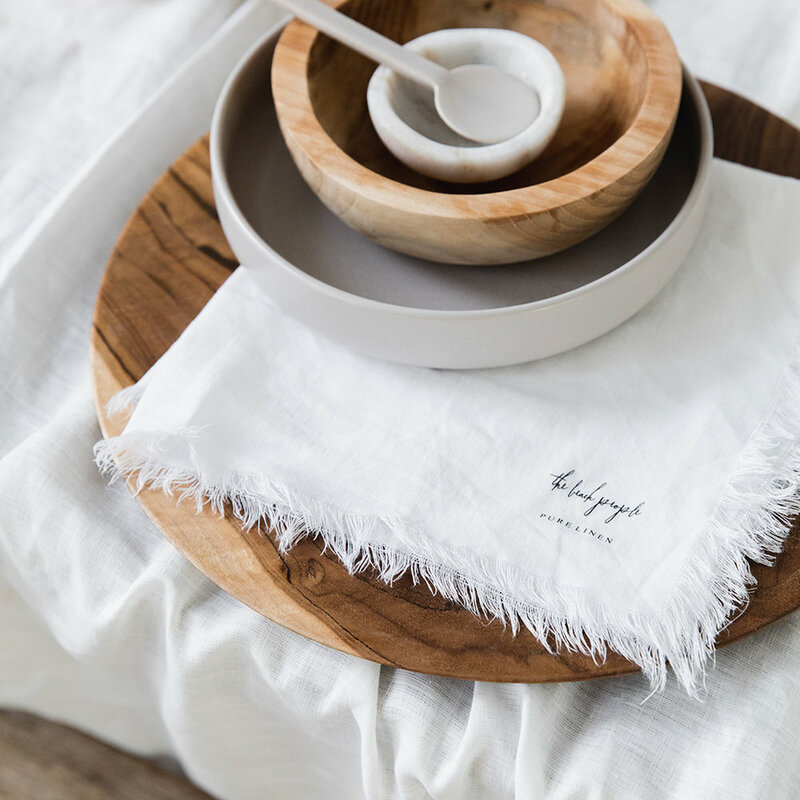 Our Linen Tablecloth (sold out in AU) - Shop online here. What is your favourite feature in your home? I really love the four skylights I put into the living room. When I first bought the house that room felt so stuffy and awkward, but after we popped up the roof and added the skylights, tongue and groove and a lot of white paint, it transformed the entire house. It’s like a mini greenhouse and as soon as you open the front door the lighting is just magical. Even when it rains, I love to lay on the floor and watch the water come down. Our Macrame Tote - Shop online here. Why did you choose Venice Beach? I have to be in Los Angeles because of work, but I also love it because it has the perfect combination of small beach town and city life. I’ve lived in Venice for 8 years and it’s easy to get anywhere on the freeway from here, especially down to Laguna Beach where I am from. You don’t really need your car because you can walk everywhere, all the homes are so full of character, and I love that not one is like the other. We have some of the best restaurants and bars, and even when you’re lonely you just walk outside and there’s an interesting person around. Being nervous that you are making the right decision. I’m a very decisive person, but I always got a bit un-easy because every change is so expensive and definite. It’s so different from the clothing industry where I work, because you can’t just take a seam out to fit, you have to really knock things out. Otherwise budgeting, there are so many nice fixtures and tiles and wallpapers out there that are just so beautiful, but I had to keep it within my budget - which was hard because I love beautiful things! What was the most valuable lesson you learnt during the renovating process/best advice for fellow renovators? Sleep on things, go to stores and look at everything, take pictures, move out of your house while renovating the whole thing, think of resale value when fixing it up, and try to be happy with the decisions that you make because you can think all night about possibilities and just be happy with how they turned out sometimes (at least that’s what my husband tells me when I can’t sleep). There is always going to be something better. I have been waiting till after I get married and have more time to renovate my garage. I am going to drywall it, put blue and white tiles on the floors and turn it into a great storage area/area for my infrared sauna. Eventually we would love to add a second story with a cute little stairway so we can put a studio up top for visitors or a kids playroom. It’s the last part of the house we haven’t touched yet and I’m looking forward to having another project going on at home.